To underscore the breadth and depth of our commitment to the art and science of breeding and raising racehorses of the highest caliber, internationally renowned Adena Springs has been North America’s leading breeder by earnings for the past five consecutive years. 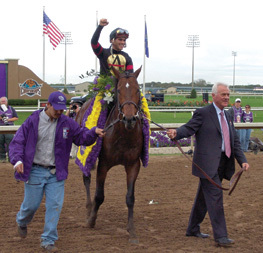 No other program has won five Eclipse Awards as champion breeder, and none has won four in succession, as Adena Springs did from 2004 to 2007. The inherent quality of Adena Springs-bred horses is perhaps best exemplified by homebred Awesome Again—the only Breeders’ Cup Classic winner to sire a Breeders’ Cup Classic winner, Horse of the Year Ghostzapper. Both sire and son stand at Adena Springs. 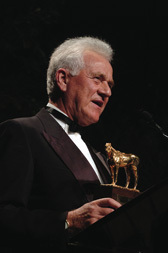 Frank Stronach’s Adena Springs has been North America’s leading breeder by money won for the past ten years, with earnings exceeding $100,000,000.